Puppets are on a roll in Pittsburgh this year. Two shows in as many months! On Saturday, April 23rd, internationally-recognized puppetry activists Bread & Puppet Theater (Glover, Vermont) will be making a stop on their Mid-Atlantic tour on the South Side for a show at the newly re-opened Brew House Space 101 Gallery. This latest edition of Bread & Puppet Theater’s cabaret series features the Kaspars’ interpretation of justice, an operatic argument about farms vs. jails, instructions on how to nab that alien, the can cans (and can’t can’ts) of universal health care, and much more. The Decapitalization Orchestra will provide soothing sounds for winter weary nerves. Several organizations including the Brew House, ArtUp, Puppet Happening, Schmutz Co. and “Joy Toujours & The Toys Du Jours” partnered to make this show possible. The event will be open seating and “pay what you wish.” The troupe will pass a hat at the end of the cabaret. As with all Bread & Puppet shows, a “Cheap Art” sale will follow the performance. This is a rare chance to pick up memorabilia, puppet how-to booklets and hand-pulled prints. 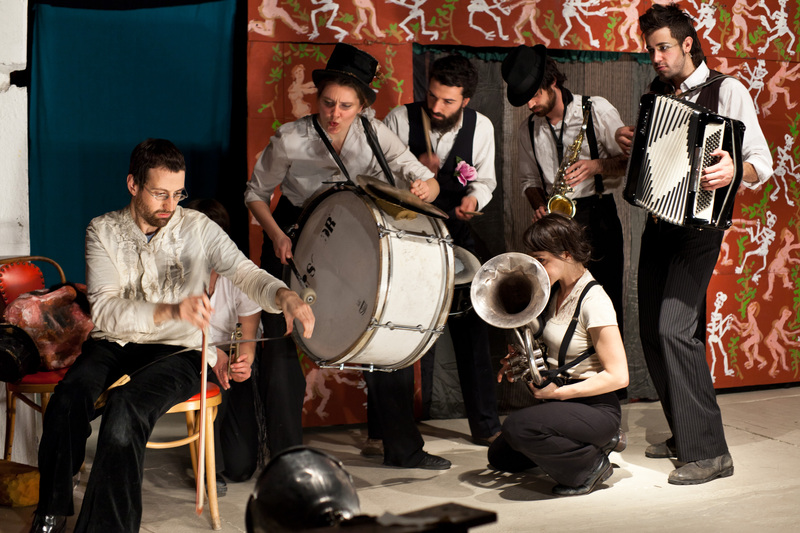 Founded in 1963 by Peter Schumann, Bread & Puppet Theater is an internationally renowned company that champions a visually rich, street-theater brand of performance art filled with music, dance and slapstick. Its shows are political and spectacular, with huge puppets made of paper maché and cardboard.